For 25 years, V3 SOUND has been the market leader in traditional folk music sounds. 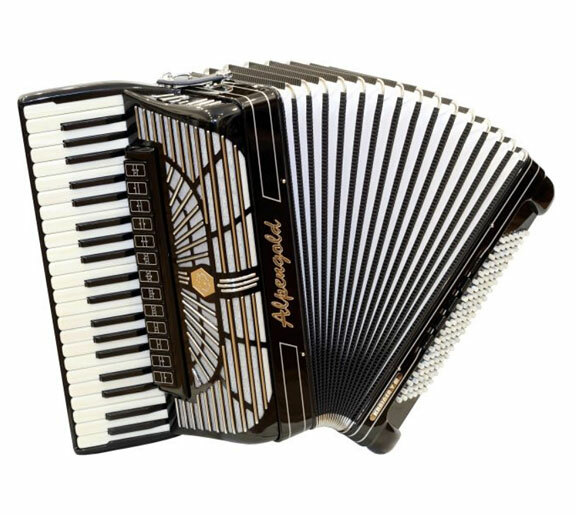 V3 SOUND is also the best place for MIDI accordionists, who can expand their sound repertoire with leading edge sound technology by using the ACCORDION MASTER XL. The ACCORDION MASTER XL can handle the most sophisticated tasks with over 1,000 sounds created with the newest sample technology, 4 GB flash memory and 256-voice polyphony – regardless of what MIDI system you are using. Accordion players don’t want an expander with x number of sounds. They want a sound expander that is custom-made for their musical preferences and capabilities. For decades, V3 SOUND has focused on accordion players who use a MIDI system for their performance. Our experience is your advantage! The new, expanded General MIDI soundbank of the ACCORDION MASTER XL has 640 sounds packed into 2 Gigabyte of memory space. The sounds include a large string orchestra, pianos, winds, guitars, and a large selection of organs, such as a jazz organ with fast and slow rotary effects, a German Entertainer organ and English theatre organs. The ACCORDION MASTER XL sound expander offers the largest selection of international accordion sounds available on the market. We created samples of German, French, Irish and Italian instruments. There are sounds with tremolo or “flat tuning” as well as musette register and other specialties of French and Belgian instruments. Fans of Argentinian Tango will be excited about the Bandoneon; jazz lovers will flip over the Super-VI model. With a selection of sounds from the Cordovox electric accordion, you can travel through time to the 1970s. The accordion is a very lively instrument. Its vibrating reeds create sounds that can be changed in timbre and volume using the bellows. Thanks to sample modeling, the ACCORDION MASTER XL allows your sounds to be expressed in a very similar manner. The bellows dynamic of a MIDI accordion, or a different expression controller, allows you to adjust not only the volume but also the tone’s softness or sharpness. When you let go of the key, the sustained resonance of the reeds and their housing come into play. The sound doesn’t end abruptly; it resonates a little, just as it does with the real instrument. The resonance fills the room between each note played. Without this characteristic, the accordion sounds artificial and not as musical as the real thing. The TRADITION soundbank includes five Alpine style accordions and seven diatonic button accordions. Counting all the register variations such as bass and chord samples, the soundbank has no less than 105 programs. 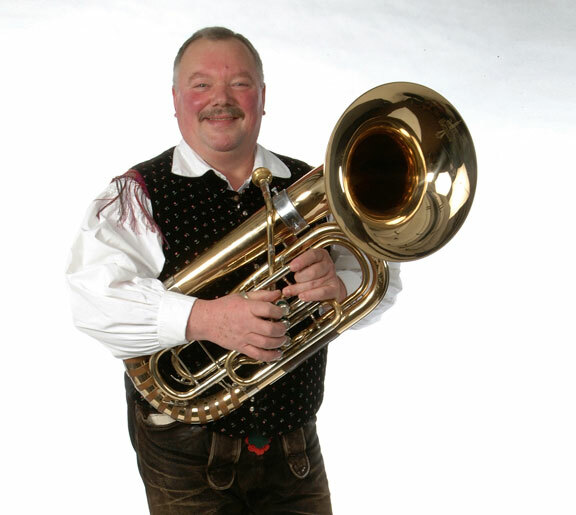 The baritone horn is the true force in Oberkrainer music, with its striking alternating bass. It also serves up a powerful portion of dynamic. The best musicians use this to add melodic accents to a phrase. For this reason, not one but three baritone horn virtuosos played the samples for the TRADITION soundbank: Janez Per (Alpski Kvintett), Sepp Mattlschweiger (Juchee) and Alen Ojcinger (Die Mosskirchner). Sample modeling of the baritone horn is a must in order to get as close to the sound of the real instrument as possible. This includes an automatic switch between staccato and marcato samples, as well as the velocity split, which makes it possible to call up sharper sounding samples by hitting the key harder. To enrich your play, up to 8 samples for each tone are just waiting to be called up. MIDI accordion players like to use chord guitars because the guitar accompaniment fits so well when playing the bass (left) side of the accordion. This combination is also possible with appropriately programmed MIDI files. The guitar samples were played by none other than the greats in this field: Renato Verlič (Orig. Oberkrainer), Gerhard Kometer (Tiroler Echo), Edi Köhldorfer (Global Kryner) and Sabrina Klotz (Die Vielsaitigen). Complete chords were sampled to create authentic sounds. In some cases, as with Edi Köhldorfer, even up to 8 bars of accompaniment patterns in typical Oberkrainer drive were sampled. Steel-stringed guitars played with a pick are available in as many as four varieties: an acoustic guitar with the microphone directly on the guitar body, on the guitar amp, a direct pick-up from the guitar through a DI box, and as a mix of different recording methods. If you are looking for pure acoustical guitar, check out Sabrina Klotz plucking her nylon-stringed guitar. 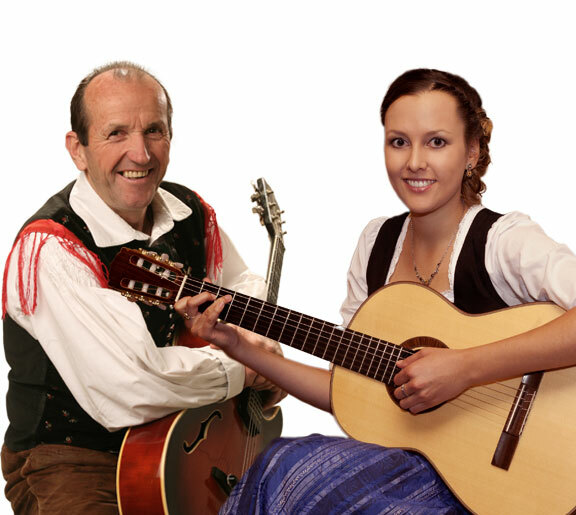 These sounds let you play Bavarian folk music that will sound just like the real thing. All of the guitar sounds run Round Robin technology, switching samples automatically behind the scenes to keep the sound fresh and real. Top musicians in folk music are also the makers of the solo instrument sounds, such as the clarinet, trumpet and trombone. One technical feature of these sounds is the note-off samples, which vary the note’s velocity and length. Just after a key is hit, different samples are activated than would be for a note held for 3 seconds. 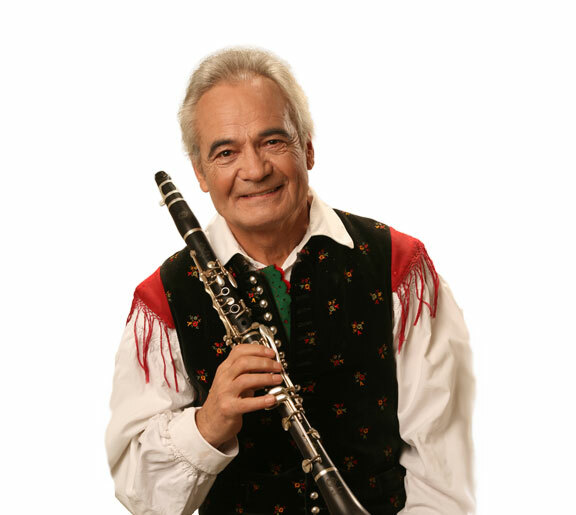 Clarinetist Vito Muženič’s soft tone is part of what we have come to know as the unique sound of the orginial Oberkrainer, especially in their slow waltzes. Fans of a meatier clarinet sound will be happy to hear Martin Zagrajsek of the Tiroler Spatzen. Ivan Prešern is known far beyond the borders of Slovenia as the trumpet player of Alpski Kvintet (Alpenoberkrainer) and as a composer of over 300 original titles. He is famous for his soft, full tone that any jazz trumpet player would revere. Trumpet player S. Binder, on the other hand, is revered for his accentuated, punching tones that also belong to the Oberkrainer sound, and therefore must also be part of the TRADITION soundbank. Trombonist S. Fuchsberger made a name for himself in more than just folk music with his group, Global Kryner (2002-2013). The band combined the Oberkrainer sound with pop music and jazz harmonies in unheard of ways. The bass trombone took on the typical baritone part in an Oberkrainer instrumentation. The fat trombone sound, with that “snap” at the start of a tone, is a highlight of the ACCORDION MASTER XL. In addition to all the sounds just covered, the ACCORDION MASTER XL also offers other sound treasures for folk music: dulcimer, zither, fiddle, harmonica, jaw harp, 3 different double basses (bowed and plucked), 4 e-basses and 3 synthesizer basses just for Zillertaler folk music. All the sounds employ Round Robin technology. Requiring over 1 GB of memory, the TRADITION soundbank is the largest sound collection for traditional folk music on the market.